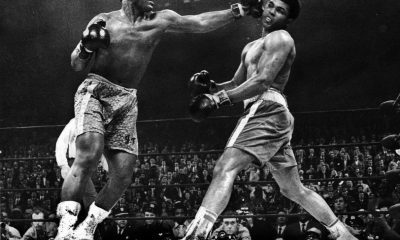 ATLANTIC CITY (October 24) – History will be made once again on Saturday, November 8 when the ageless wonder Bernard “The Alien” Hopkins attempts to unify the light heavyweight world title against Sergey “Krusher” Kovalev at Boardwalk Hall in Atlantic City. 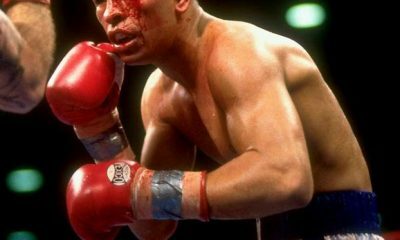 But before the HBO World Championship Boxing telecast, an array of top contenders and prospects from around the globe enter the ring to showcase their skills on the world stage. Pugilists from the Ukraine, Puerto Rico, France, Nicaragua, Cuba, Russia and the United States will be featured, making November 8 a testament to the worldwide appeal of the sweet science. 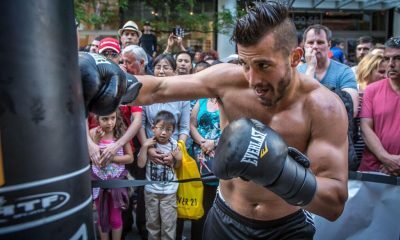 Fighting out of Gardanne, Bouches-du-Rhone, France, 29-year-old Nadjib Mohammedi (35-3, 21 KOs) turned professional in 2005 and is eager to step through the ropes for his second consecutive fight on U.S. shores. The WBA Continental and French champion at 175 pounds, Mohammedi is ranked number one in the world by the IBF, fourth by the WBA and eighth by the WBO, giving him every reason to watch the November 8 main event intently should he get by Kansas City southpaw Demetrius Walker (7-7-1, 4 KOs) in their 10-round matchup. 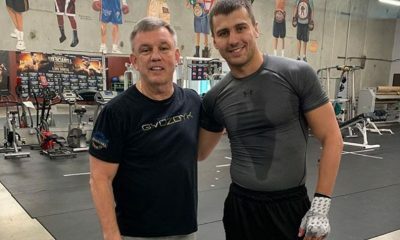 Another top contender attempting to make his case for a world title shot, Ukrainian heavyweight Vyacheslav “Czar” Glazkov (18-0-1, 11 KOs) is a 2008 Olympic Bronze Medalist in search of world championship gold in the coming year. Currently ranked number two in the world by the IBF and number eight by the WBC, the 30-year-old owns wins over Tomasz Adamek, Derric Rossy and Tor Hamer, and on November 8, he will face off with Miami’s Darnell “Ding-A-Ling-Man” Wilson (25-17-3, 21 KOs). A former world title challenger at cruiserweight, Wilson brought his power with him to the heavyweight division, where he most recently ended the 36-0 run of David Rodriguez last December with a sixth-round knockout win. 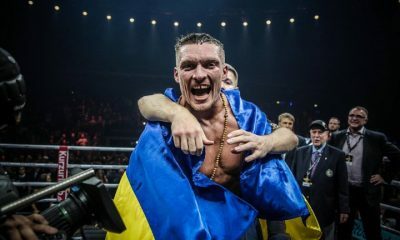 A native of Zhytomyr, Ukraine who now makes his home in Los Angeles, unbeaten light heavyweight Vyacheslav “Lion Heart” Shabranskyy (10-0, 8 KOs) is a former world champion in kickboxing who is now climbing up the 175-pound division in boxing after a lengthy amateur career. 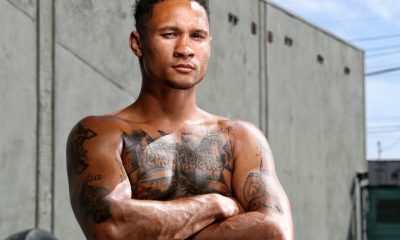 The 27-year-old power puncher will be tested in his first 10-round bout by San Juan, Puerto Rico’s Emil Gonzalez (11-8-1, 8 KOs), an equally heavy-handed foe who has ended his last five wins in two rounds or less. Southpaw slugger William “Chirizo” Gonzalez (27-5, 23 KOs) returns to the ring next month to take on Philadelphia’s Eric “The Outlaw” Hunter (18-3, 9 KOs) in a 10-round featherweight bout. Managua, Nicaragua’s Gonzalez has won six of his last eight bouts, most recently knocking out Cornelius Lock in seven rounds for the vacant NABA title. 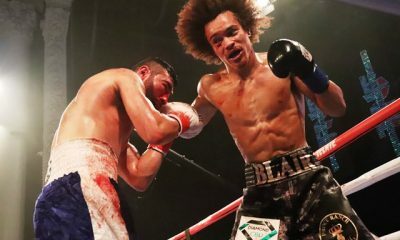 The 28-year-old Hunter, who spoiled the perfect record of Jerry Belmontes in their 2012 bout, is coming off a 10-round decision win over Yenifel Vicente in March that earned him the vacant USBA title at 126 pounds. 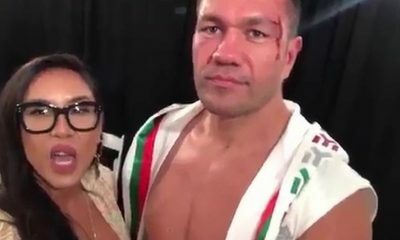 Owner of amateur wins over the likes of former world champions Chad Dawson and Beibut Shumenov, 32-year-old Cuba native Sullivan Barrera (13-0, 8 KOs) is looking to make up for lost time after a late start in pro boxing, and he will look to move a step closer to title contention in his eight-round light heavyweight bout against Altamonte Springs, Florida’s Rowland Bryant (18-3, 12 KOs). Already ranked in the top 15 by the WBA, Barrera has won three times so far in 2014, including knockouts of Lee Campbell and Eric Watkins. The 35-year-old Bryant has picked up two victories in 2014 thus far, stopping William Santiago and decisioning Rayco Saunders. 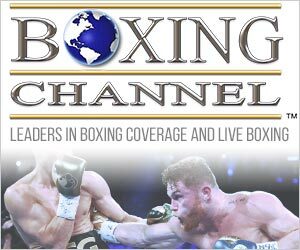 Also in action in a six-round super middleweight bout will be unbeaten Zubovo, Russia native Andrey Sirotkin (4-0, 1 KO) and Paterson, New Jersey’s Michael Mitchell (3-4-2, 1 KO). The opening bout of the evening will feature Chattanooga, Tennessee’s Ryan Martin (8-0, 4 KOs) taking on Tucson, Arizona’s Isaac Gonzalez (17-3,12 KOs) in a lightweight bout scheduled for four rounds. “Hopkins vs. Kovalev” is a 12-round unification bout for the IBF, WBA and WBO Light Heavyweight World titles, presented by Golden Boy Promotions and Main Events in association with Caesars Atlantic City, Corona Extra, AT&T, Hortitsia Vodka and Mexico, Live it To Believe It!. In the 10-round welterweight co-main event, Sadam Ali faces Luis Carlos Abregu for the WBO Intercontinental Welterweight title in a bout promoted by Golden Boy Promotions and Top Rank.